Choose from multiple styles, including glass panel, wrought iron, grill between-glass, solid panel, simulated divided lite, privacy/clear, and contemporary style. Select from different styles of privacy glass, speakeasy glass and grills, wrought iron glass inserts and appearance finishes. Customers can create a fiberglass door to the specifications you wish. You can choose from 6’8″ widths. Available unfinished or pre-finished with endless stain options. Fiberglass doors are versatile. Fiberglass doors features any type of door any color you desire. These doors can be customized to fit the finish, height, and appearance of your choice. A major advantage that fiberglass doors have is durability. These doors can resist dents and scratches, as well as rust above all this, is better than most other materials. Fiberglass doors often require minimal maintenance. Fiberglass doors have a higher upfront cost when you compare them to other door products. The good news is that Fiberglass doors features lower energy costs as a result, you will notice a great deal of savings if you go the fiberglass route. 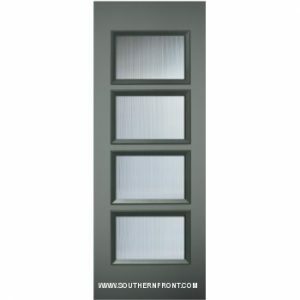 Customers across the fourth largest city in America call Southern Front Doors daily because of our wide selection. Our competitors fail to match our attention to detail and outstanding customer service. Customer service has declined in this day and age because consumers get lost in audio menus when all they want to do is talk to a live person. This is where Southern Front Doors excels in the industry. No one is more important to us than the potential customer on the other end of the phone. 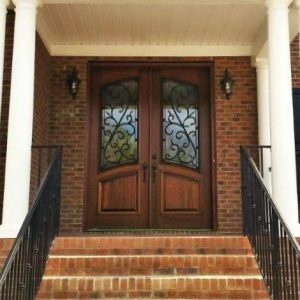 You know what your needs are and you have read all about Fiberglass doors features by Southern Front Doors. What is stopping you from reaching out to us? Our company has relationships with so many media outlets, we have been endorsed by so many big shots that work for various local radio and television stations. What keeps holding you back from treating yourself to this one-time purchase? Let me remind you that you will get the personalized treatment that you secretly want. If our showroom doesn’t have what you need, don’t stress, we can sit down and write out exactly what you need and it will be something that represents you. Stop procrastinating and reach out to us right now. Visit our showroom, 11234 Jones Road West Suite B Houston, Texas 77065 or give us a call (281)-890-5860. Click here to visit our website. Don’t put off treating yourself any longer. Just do it!